Iron Man takes 1 less damage from Villains. Iron Man takes 2 less damage instead. Global: Pay . Target character gains the Villain affiliation. If Iron Man: Upright's global ability is used, it lasts until the end of the turn when all effects and abilities clear. Iron Man takes 1 or 2 less damage from Villains deal. Non-character sources like basic actions (e.g., Power Bolt) or global abilities would be able to damage him. For example, Iron Man doesn't prevent damage from Mister Sinister: Nathaniel Essex's global ability ("Pay . Each player chooses one of his characters to take 3 damage."). ^ Iron Man Global - Villain Affiliation. Wizkids Rules Forum. Retrieved 7-16-2015. 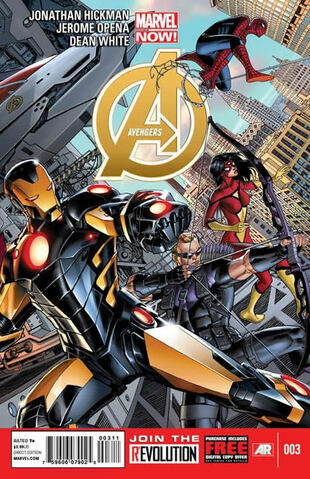 ^ Avengers Vol 5 3. Marvel Wikia Database. Retrieved 24 July 2015.